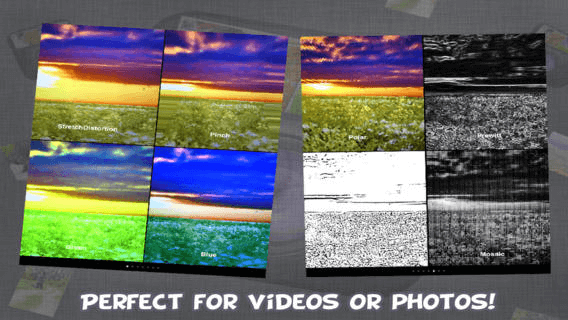 Looking for the best photo effects app out there? Look no more! 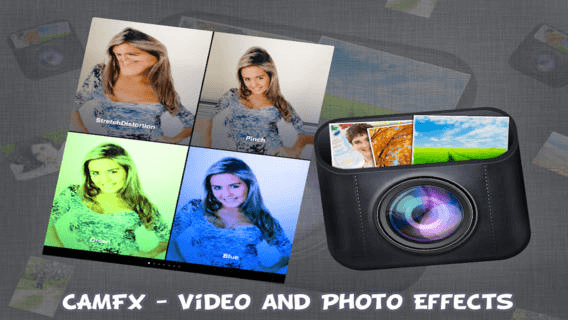 This amazing app lets you convert photos and videos with awesome artistic effects. 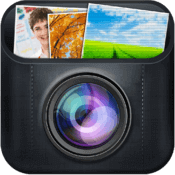 Choose from existing photos and videos or take new ones with your chosen effect! 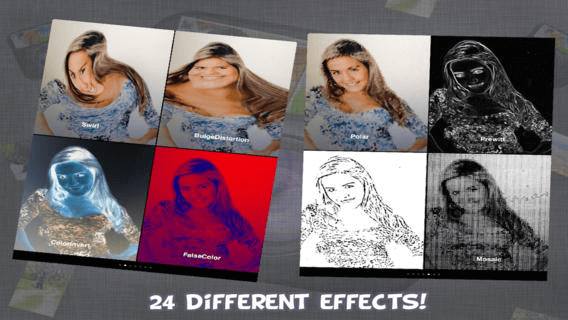 You will not find as many cool effects with such a high quality anywhere else! 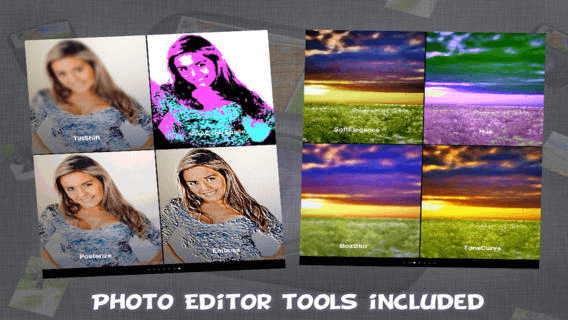 -Effects: not only will your picture adopt a cool look to it, but you can choose from a wide range of color effects such as sepia, aqua, indiglow and vivid to name a few! -Stickers: make the putrid even more amazing with fun stickers or talking signs to insert funny captions! -Draw on it: choose the with of the brush and color from a wide choice! -Remove red eye, blemishes AND whiten teeth! A first in photo editing apps; if only we could use it in real life... But only in this cartoon camera! Share it via email Facebook or Twitter or simply save it in your device with the ease of just one tap! 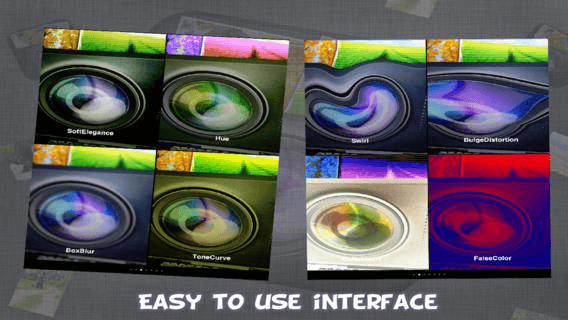 Want to impress your friends or create masterpieces with amazing ease? Then this is the app for you!